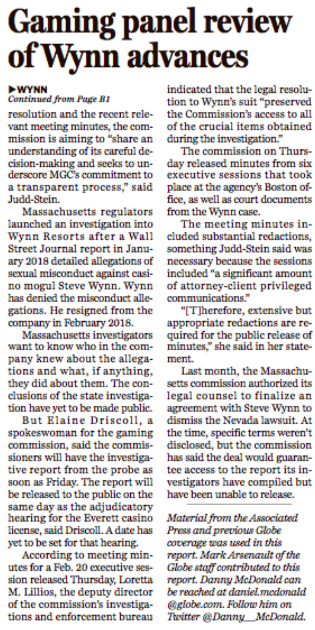 The Boston Globe is shooting blanks on the Steve Wynn/Massachusetts Gaming Commission rumpus, which involves a lawsuit over documents that the disgraced casino mogul says are covered by attorney-client privilege. 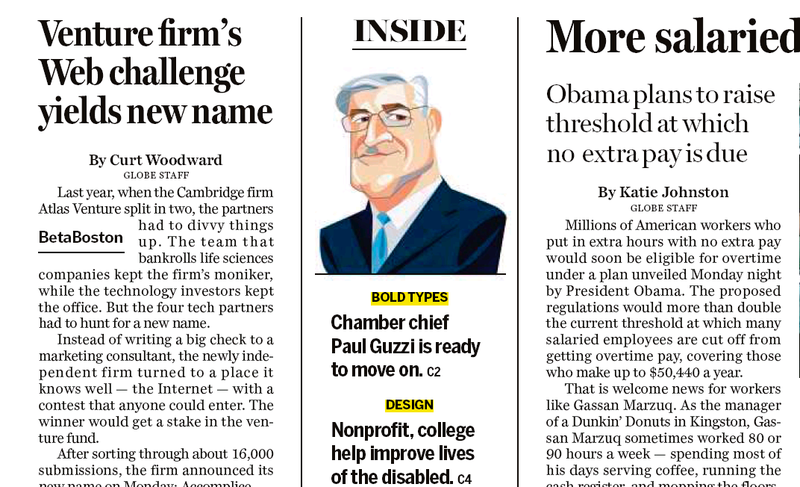 Here’s how the stately local broadsheet handled the story in today’s edition. 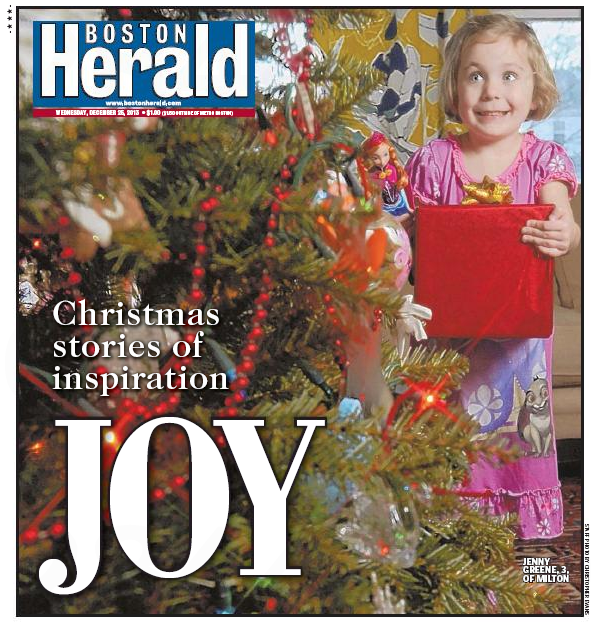 No longer crosstown at the Boston Herald, Page One says it all. Inside, the story gets the deluxe double-truck treatment. Hey, Globeniks, you taking notes? To be fair, the web version of the Globe piece does have a visual component. 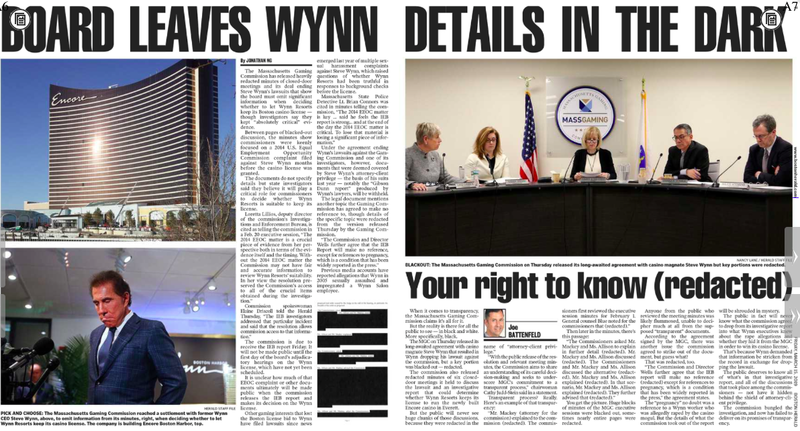 To be clear, though, it’s a photo of the almost-finished Encore casino, not any of the redacted documents. Score one for the snappy local tabloid. 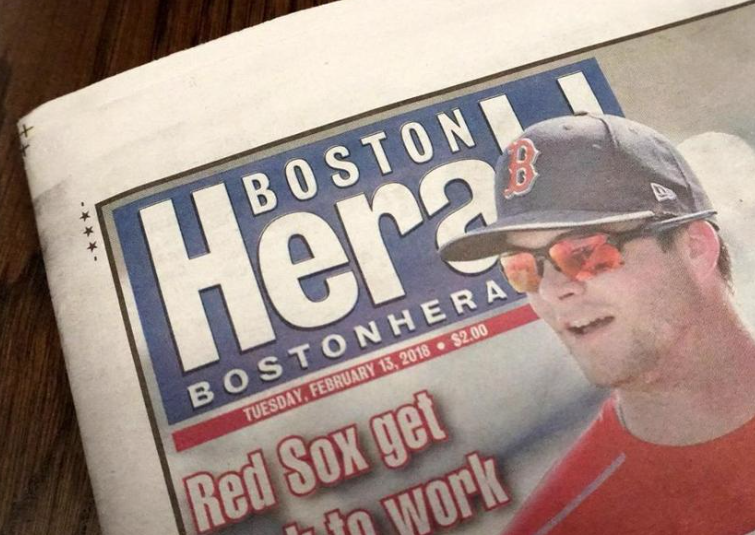 The hardreading staff has been thoroughly flummoxed by the Boston Herald’s recent abdication of its sacred duty to pummel crosstown rival Boston Globe on any and all occasions. And what an occasion the stately local broadsheet has presented in its current inability to deliver its print edition to vast swaths of home subscribers. 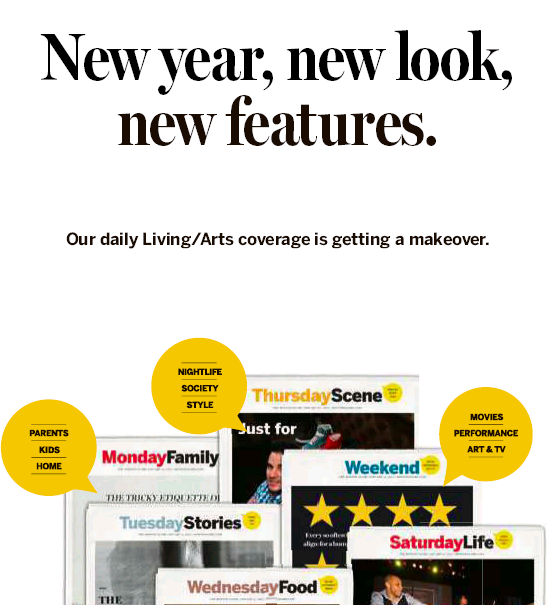 An inability, by the way, the lately local broadsheet is now kind of hiding. 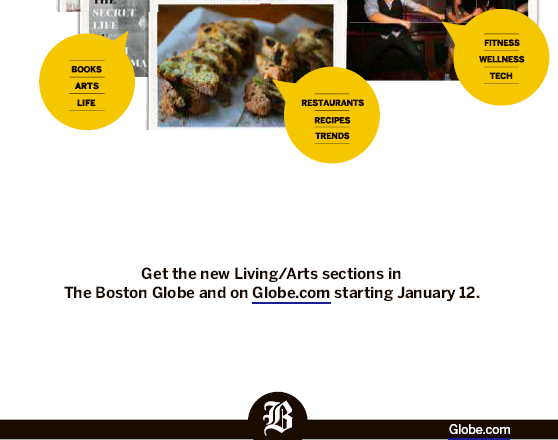 Start with this now-routine note on the Globe’s homepage. Click on that ConsumerUpdate link and you finally get to the tough luck towns du jour. Today’s unlucky number of “delivery delay” zip codes: 100. The whole runaround is just lame. But the fraidy local tabloid is even lamer, because it continues to ignore the Globe delivery meltdown. Not to mention ignoring Boston GlobeSox owner John Henry’s hot little tweet yesterday about a piece by the Unsinkable Emily Rooney at WGBH News (note the Update at bottom). Don’t think we’ve heard the end of this one yet. But don’t bother checking the Herald about it. 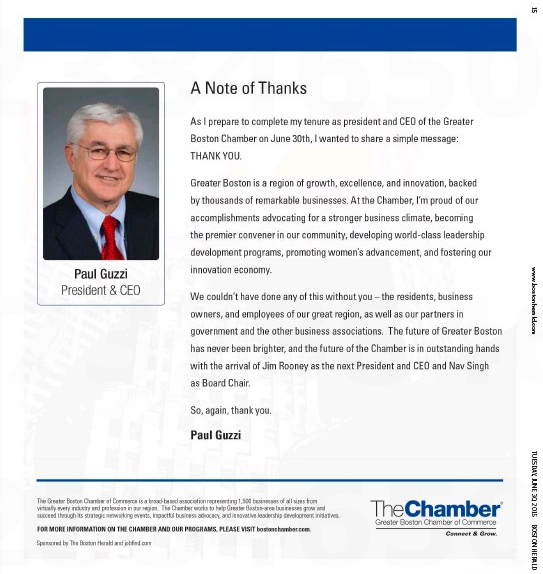 After 19 years as president and CEO of the Greater Boston Chamber of Commerce, Paul Guzzi is stepping down. 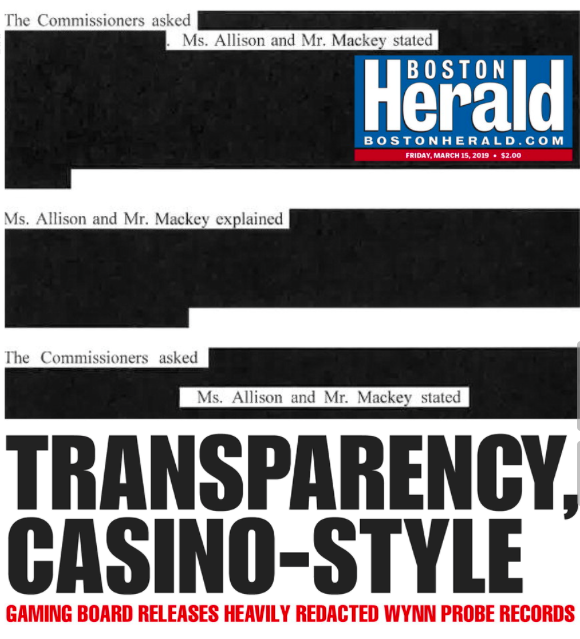 As a sort of parting gift, he ran this full-page ad in today’s Boston Herald. 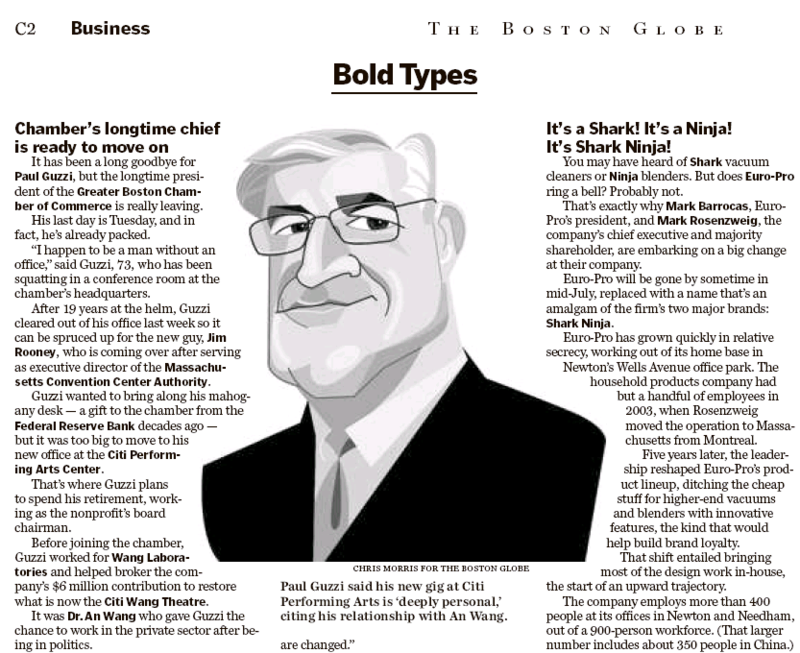 Guzzi is moving on the become board chairman at the Citi Performing Arts Center, where he’ll undoubtedly run many more ads in the stately local broadsheet than the thirsty local tabloid. Regardless, all best to all involved. As you splendid readers no doubt know by now, our stately local broadsheet is dumping its (tabloid-size!) G section (tip o’ the pixel to the redoubtable Dan Kennedy’s Media Nation), to be replaced by a New! Improved! Living/Arts! section. In other words, it’s all over but the touting. Family – Stories – Food – Scene – Weekend – Life. Anything they left out?